Snow Much Fun – Grab it before the deal melts away! Psst…check out the free shipping deal at the end of the post! And this free MDS download can be added to your order at the same time! Free For You From Us Designer Template – Digital Download order # 132810 Cost: FREE! Well okay…we haven’t actually had much in the way of snow here just yet but with the deals on snow related items in the Online Extravaganza I’m playing with snow and snowmen anyway! Two days left before the deals melt away and don’t forget that Wednesday, the last day of the sale will be sporting 3 new super deals just like last week when the sale started. This time the focus will be on Clear Mount Blocks, The Clear Mount Block Storage Caddy and the wonderful Stack and Store Caddy. I have to say that last in particular helps me stay organized and lets me see what I have to craft with. Here’s the first card with new product I designed when the new catalog came out last June. Yeah I know…weird to play with snowmen in June but when I saw the new dies…I had a vision. Besides..it was hot and playing with snowmen cooled things off…at least in my head. 😀 How cool is it that two of the items used are now on sale? Very Cool! 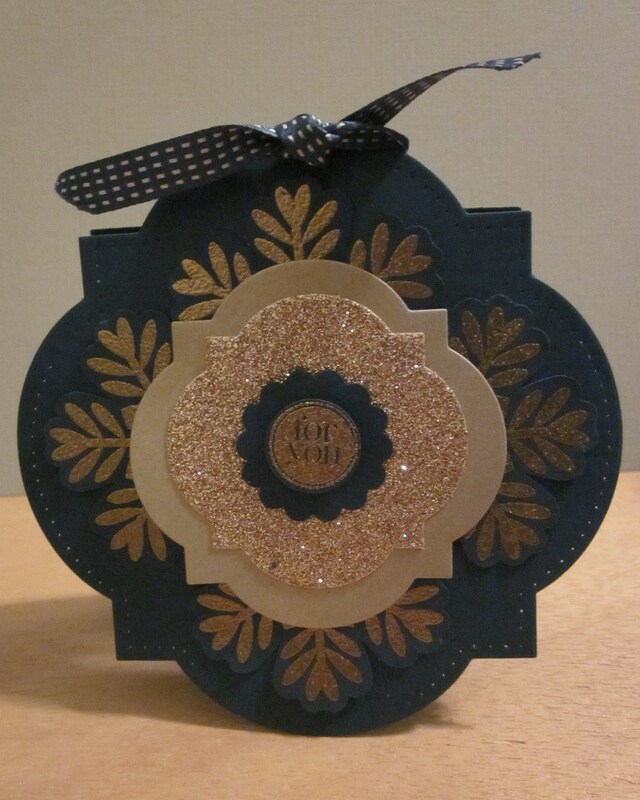 All images and dies copyright Stampin’ Up! This was also a team effort. Several demonstrators from my local group got together to pool our new toys tools and create for our joint open house. This was my design but colored beautifully by my upline Cheryl (thanks sweetie!). 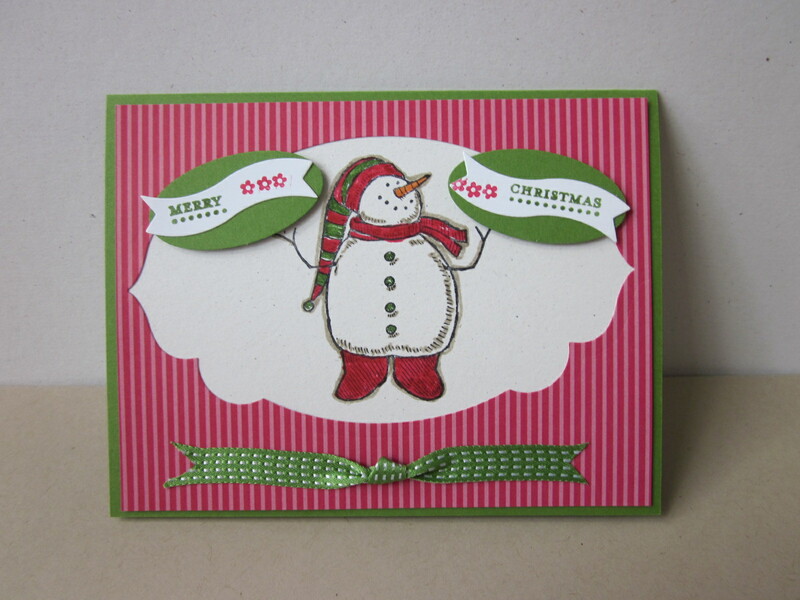 Kept it pretty simple as we were looking to show off new dies, new colors and new embellishments. I had die cut a piece in my Real Red DSP with the new Apothecary Accents Framelit for another project and set the remaining window negative down on a scrap of Whisper White and realized the windowing possibilities. Just needed something short and squat to fill it. And wouldn’t you know I had just been playing with the Snow Much Fun set and my eye landed on the little chubby snowman…and an idea was born! Played with the idea of snowballs for throwing but decided to showcase another new die cut instead to carry the greeting. Turns out that Bitty Banners Framelit die cuts can hold more texts from more stamps than the set designed to coordinate with it. And being a flower child from way back just had to throw in flowers for ammunition instead of snowballs. Do you recognize that itty bitty tiny flower? It’s the flower on the hello stamp in Tiny Tags. I just inked with a marker and stamped three times for my tiny pointsettia wanna be’s. Other: Gumball Green Stitched Satin Ribbon, Big Shot, Bitty Banners Framelits, ApothecaryAccents Framelits, Large Oval Punch, Glue dots, Dimensionals and Snail adhesive. Don’t you want to reach through the monitor and stroke that satiny ribbon? I can’t get enough of that stuff and now that it’s 30% off it’s even harder to resist. And even better…the stamp set is 50% off! Wowza! $9.98 (in clear mount) and you can have your very own set of snowmen to play with! 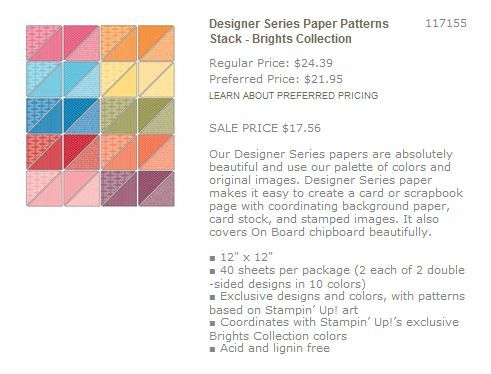 Should mention that the Designer Series Paper is also part of the Brights Designer Series Paper Stack that’s 20% off. With Christmas and Valentines coming up you really want to jump on that collection (you might want to buy it too!). I should probably also mention that the Come to Bethlehem set I used in this recent post is also 50% off! So why are you still sitting there…time to hit the sale entries in my Online Store (click the Shopping icon in my sidebar to get started). 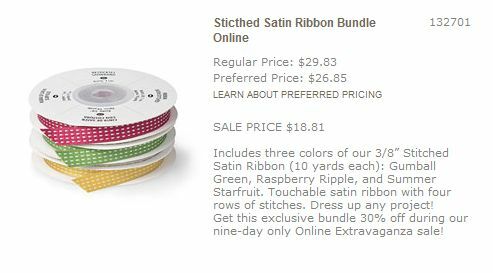 Online Extravaganza Flyer – key to all the deals! Here’s the items on sale I used in the card. Just as a reminder when you buy through my online store link (see the sidebar) you get all the preferred pricing AND you have the chance to qualify for hostess benefits depending on the size of your order. Buy before the end of the sale period (Wednesday Nov. 28th before midnight) and I’ll also throw in free shipping in the form of a gift certificate for your next order or a PayPal refund. Your choice. Did you see the free My Digital Studio Download at the top of the post? Don’t forget to add that to your order! AND if you don’t yet have My Digital Studio you can buy that for 50% off during the Sale Too! Or try the free trial version for 30 days. 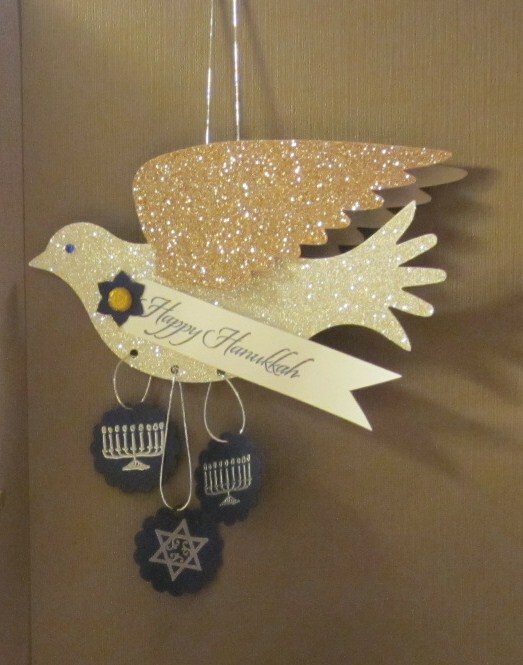 Welcome back to the first ever Hanukkah Blog Hop! Day 1 (click the link to see it if you missed it) was a success and emboldened us to continue on with Day 2!! Did you enjoy Miriams post? If you missed her faulous treasure chest from todays hop post click on the “previous” button at the bottom of this post or circle back around to it by clicking next on the following blogs. If you are working in reverse…Did you see Andi’s wonderful Big Shot banner? Brilliant and no stamping required. No matter what direction you go to hop you’ll eventually see us all…including Yapha’s gorgeous Window Frame Framelit card sandwiched in the middle. 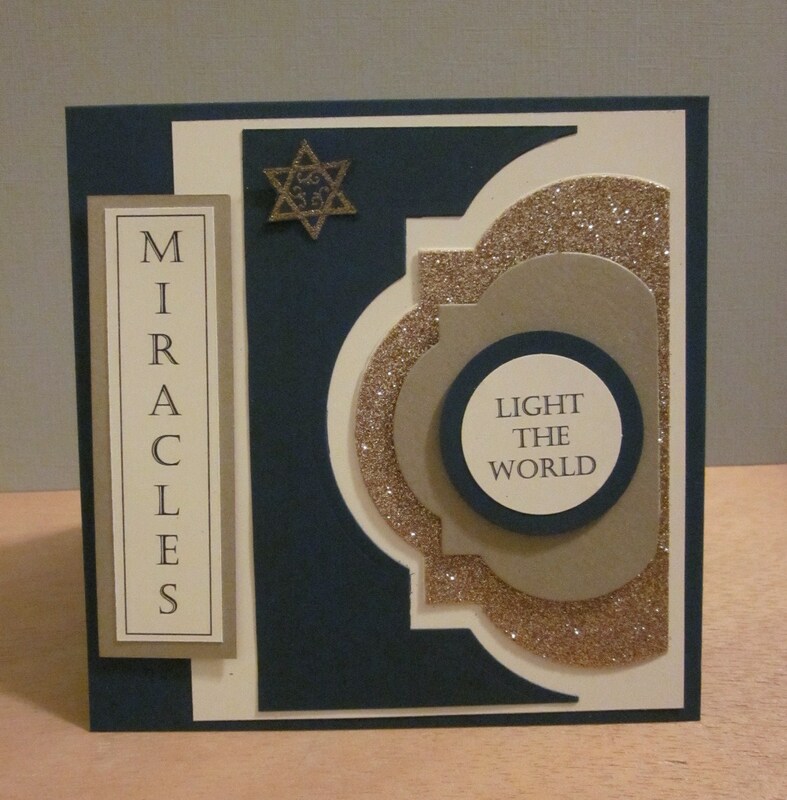 We are so excited to be able to share with you a festival of wonderful Hanukkah related projects. We’ll be posting 2 projects a week on Sunday’s & Wednesday’s until the first day of Hanukkah on December 9th! There are 4 of us participating so that is a total of 9 hop days for a total of 36 ideas!! 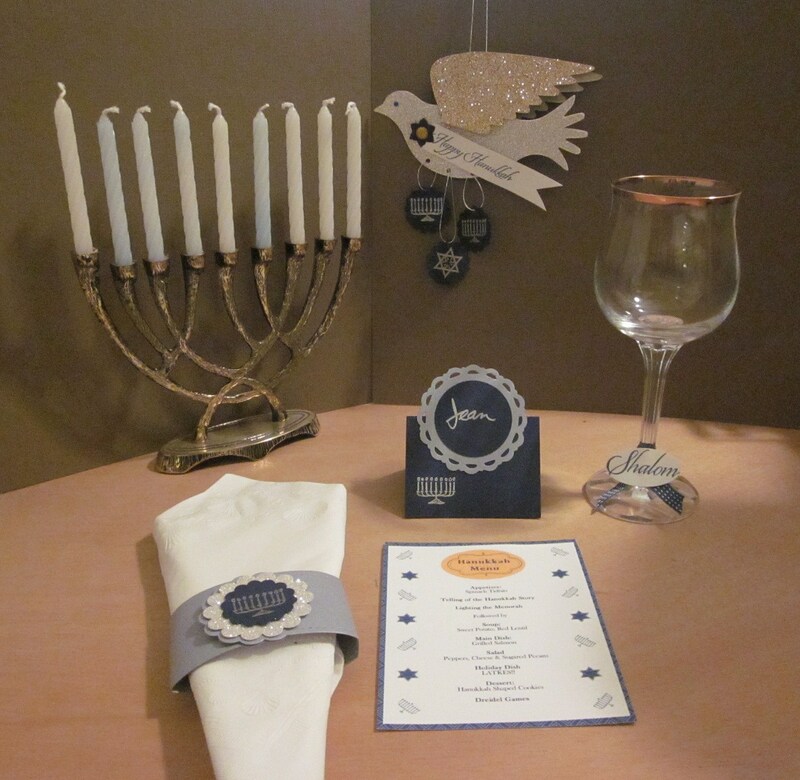 Are you ready to be Hanukkah project inspired?! On to Day 2 and my Digital Paper Dreidels! One of the joys of celebrating Hanukkah with family and friends are the games and stories and songs that teach as well as entertain. Growing up I had many opportunities to join friends and neighbors in the traditional game of Dreidel and those memories have stayed with me. Each year I bring my own set out for a little pre Hannukah practice before going visiting. After all when chocolate is involved (we generally use the chocolate gelt coins to play) a little creative preparation and spin control (not to be called cheating…lol) is in order right? Well…last year I discovered my little dreidel set had disappeared. I suspect the fur children found them and now they are probably history one way or another. So…I fired up the internet found a paper template and decided to see if My Digital Studio could come to the rescue. It did! And it was so much fun I decided to create a new set this year. 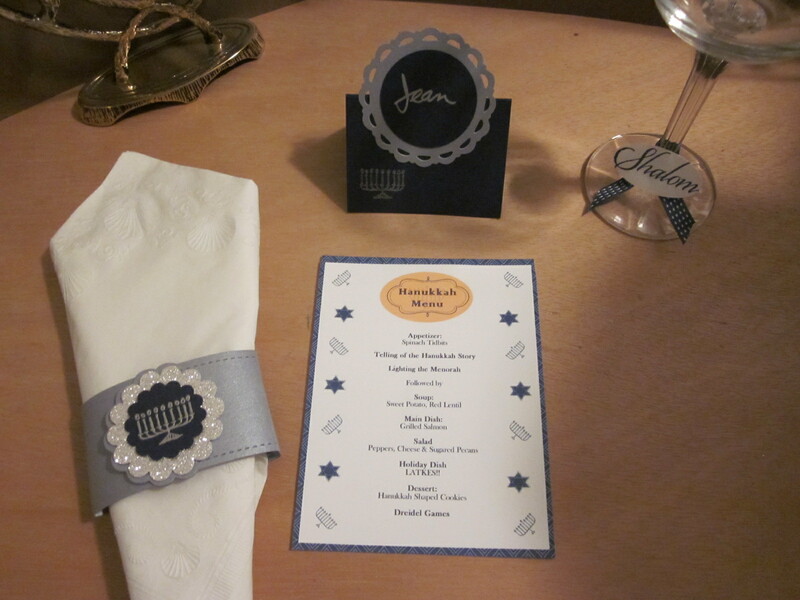 I print it out on my own printer using Stampin’ Up’s wonderful Whisper White or Naturals White Cardstock. Of course you could also have the Stampin’ Up Professional Print Service do the printing for you and the color matching will be guaranteed. The Whisper White is easier to score and fold but the Naturals White is a tad sturdier. This year I also discovered that our Simply Score scoring board and stylus tool made the construction part of the job faster and easier not to mention more precise. 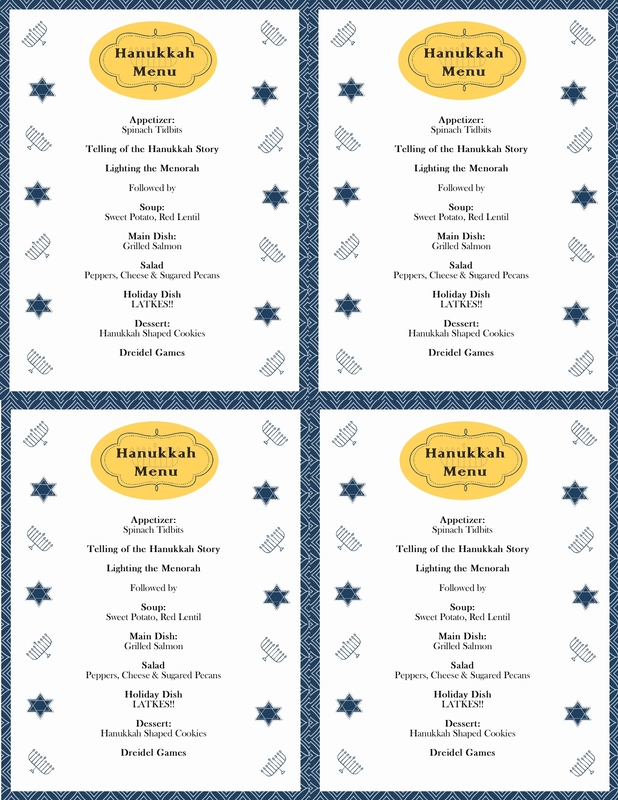 Any Stampin’ Up Adhesive will work to construct the Dreidel – from Snail to Tombow Liquid Adhesive to Sticky Strip. To actually use it as a top you have to add a dowel or stick of some type to grip and spin. 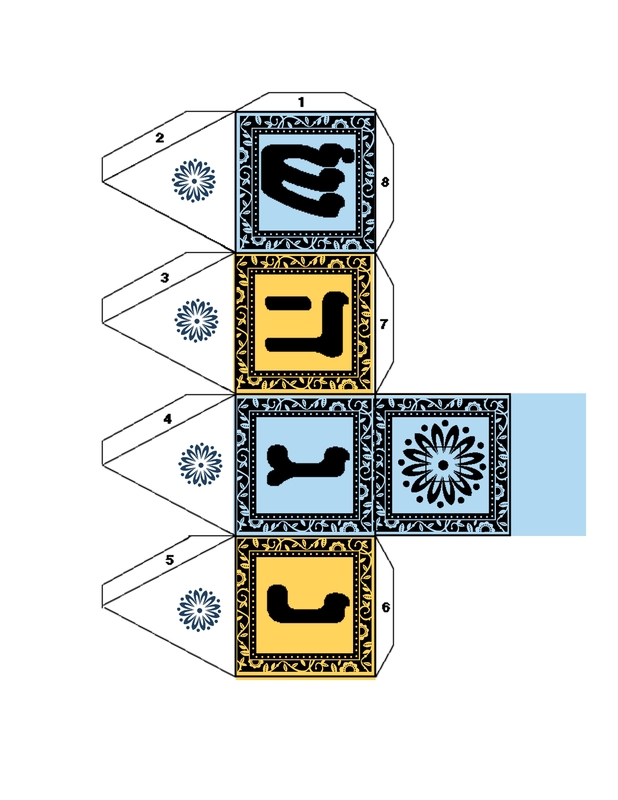 I’ve attached a PDF version of the Dreidel with directions on construction and also a copy of the traditional Dreidel song I created last year for a homeschool group that wanted to keep it simple but fun. Dreidel – 2012 Digital Paper – PDF file with this years dreidel, songsheet, directions, blank dreidel to stamp or color with the kids. Dreidel – Baroque Motif – PDF file with last years Baroque Motif dreidel, songsheet, directions. 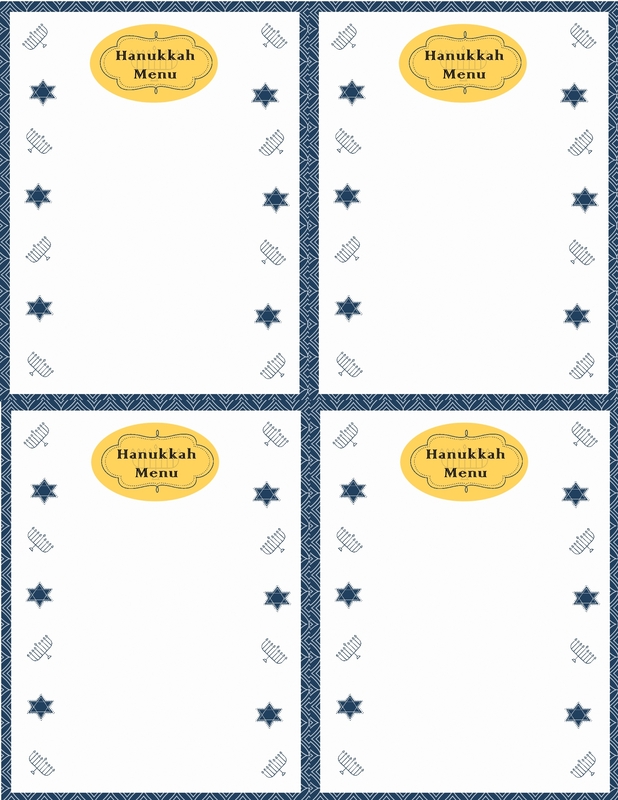 Dreidel – Blank Paper Version – PDF – Blank Paper Version to stamp on or color with the kids. I love how MDS can bring a simple songsheet to life. Quick and easy and took me about 5 minutes once I found the lyrics online to copy and paste. One little girl in the homeschool group decided to ask her mom if they could add this to their holiday scrapbook. Said she was going to add pictures and punches down the sides. I told her that’s what Stampin’ Up would call a hybrid project. Print something you create in MDS then add physical (as opposed to digital) embellishment and digital enters the real (hybrid) world. I’m not the master at My Digital Studio yet that Yapha is – she created our beautiful Banner and buttons using the newest version of the program MDS2 but I’m learning and I know that you can too! 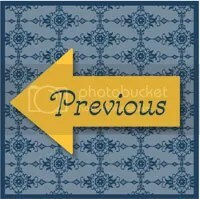 Stampin’ Up has made it easy for you with a free 30 day trial and a website filled with inspiration at www.mydigitalstudio.net . 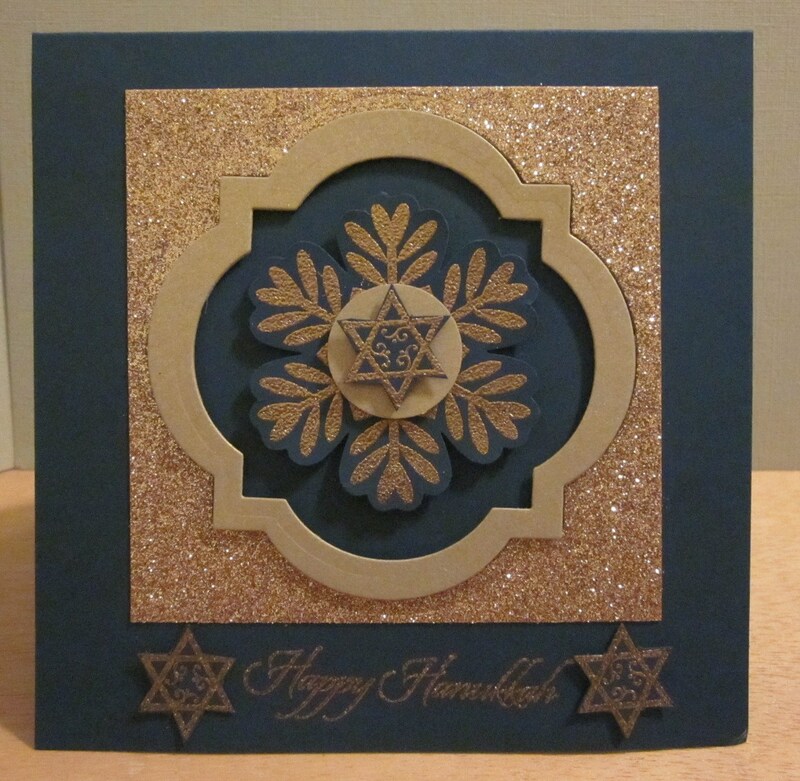 Don’t you have some Hanukkah projects of your own you’d like to try? 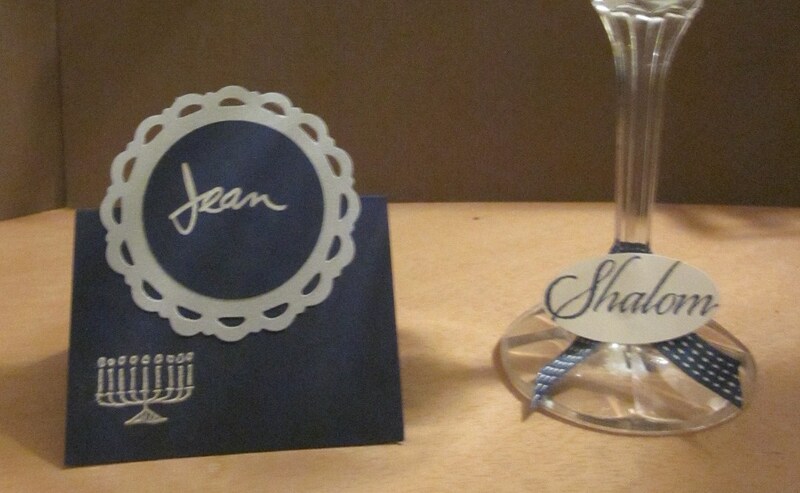 Place cards for the table? Holiday decor or cards, a banner, little gift boxes, recipe cards or menus. The list is endless that you can create. 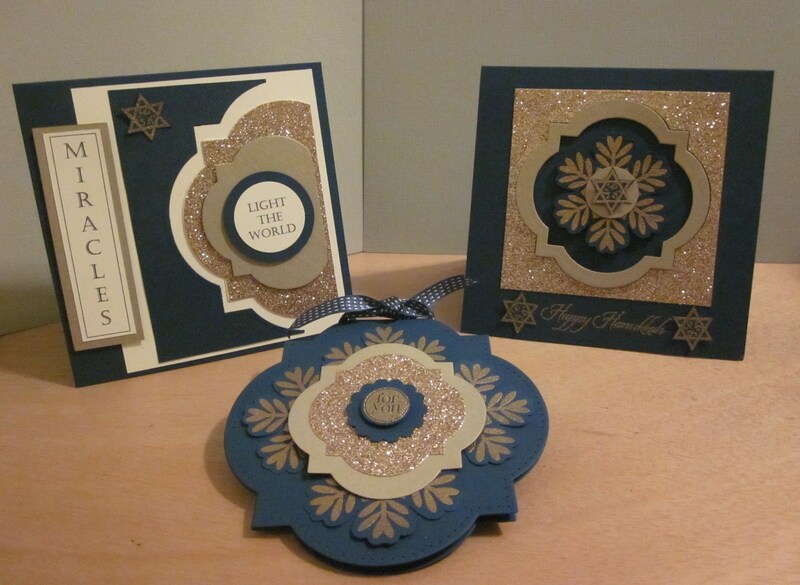 Jewish Celebrations- http://www.stampinup.com/ECWEB/ProductDetails.aspx?productID=131318 – The digital version of the stamp set I used on Day 1 of our Blog Hop. To order any of these contact your demonstrator or visit her/his demonstrator website. Back to my Driedel story…..
I’m sure it will be easier to do in MDS2. For MDS1 I added punches and filled in our Stampin’ Up colors of Bashful Blue and Daffodil Delight then moved them behind the template to add the color. Then I added stamp brush images from Frames with a Flourish and a flower from the One of a Kind brush set. Also added a flap section so I could tuck the top in instead of glueing it down. This allowed me to use the dreidel as a gift box! Don’t you love it when something you create can be used in multiple ways? 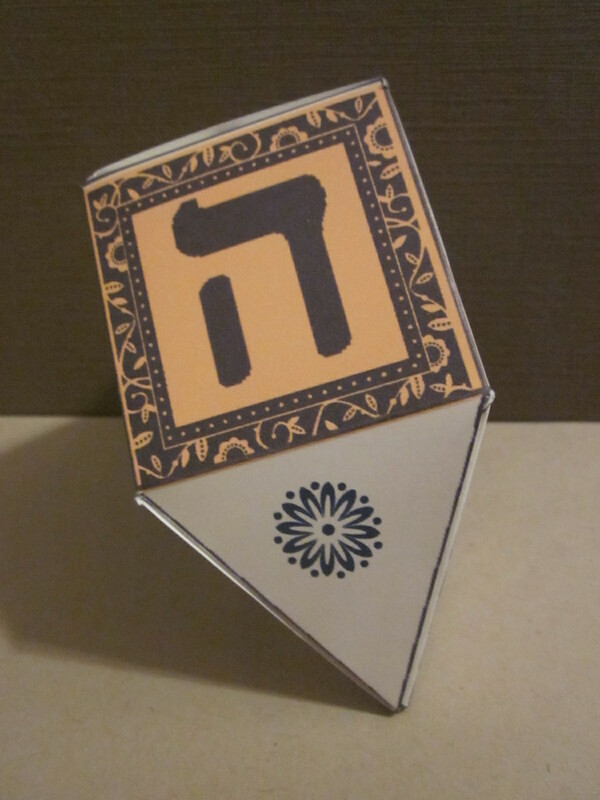 The first picture of the completed dreidel is missing something…can you tell what it is? Now can you guess what’s in the second picture? I decided to use this particular dreidel as a Tootsie Pop cover. Of course you can use a dowel or fill it with Chocolate coins or the real deal money. 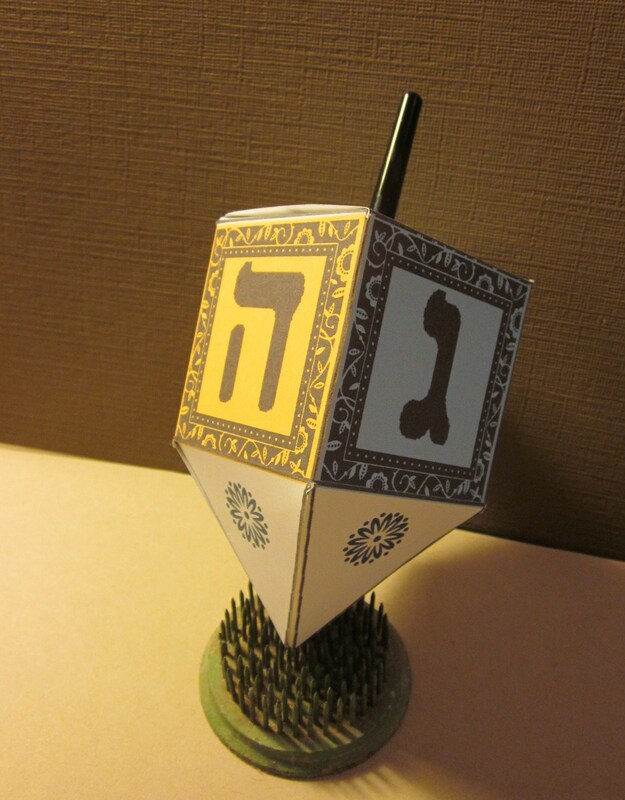 To use with the Tootsie Pops – place the pop head in the box and feed the stick end through the hole so the dreidel looks more like a dreidel should with a handle to twirl. One problem I ran into…before I could take the final picture for this project I put the Tootsie Pop on the table and while I was on the phone with a friend at Demonstrator Support oohing and ahhing over our latest promotional catalog (more on that in later posts) it appears I unwrapped the Tootsie Pop and consumed it without realizing (of course you’ve never done such a thing, right? )…worst of all…I had no more Tootsie Pops for the photo shoot. Called the little market down my mountain road and wouldn’t you know…no Tootsie Pops there either…the kids had cleaned them out! 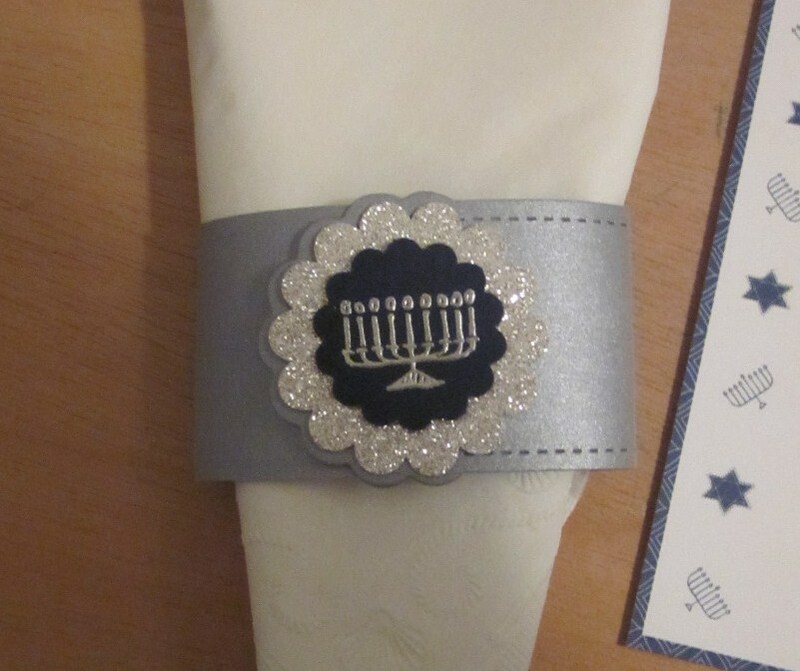 They did offer me one of those candy jewel rings but understood when I said I needed the stick for the dreidel. So you’ll have to rely on your imagination this time. Or see what I used after a bit of brainstorming…can you guess? It’s the applicator/handle from my Smooch Pearlized Accent Ink. Retired product in the stash to the rescue once again! 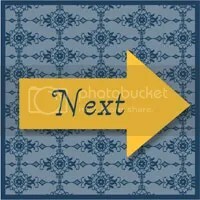 Are you ready to download the file and make one of your own? 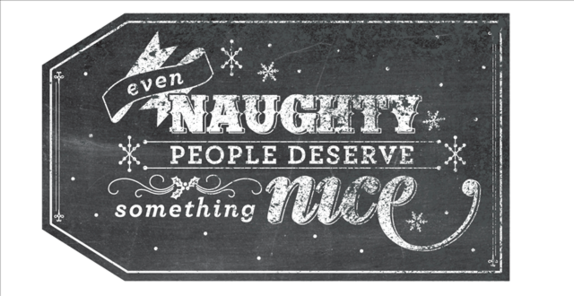 Make sure to buy extra Tootsie Pops or dowels…or stay off the phone when in the vicinity! Note to self: Overcast days bring on sugar cravings…and make photo shoots difficult to light! Here’s the blank template for the dreidel in case you’d like to make your own. Because it’s a .gif file it can be imported just like any picture into MDS. A copy to print and color with the kids is also fun (one is attached above). 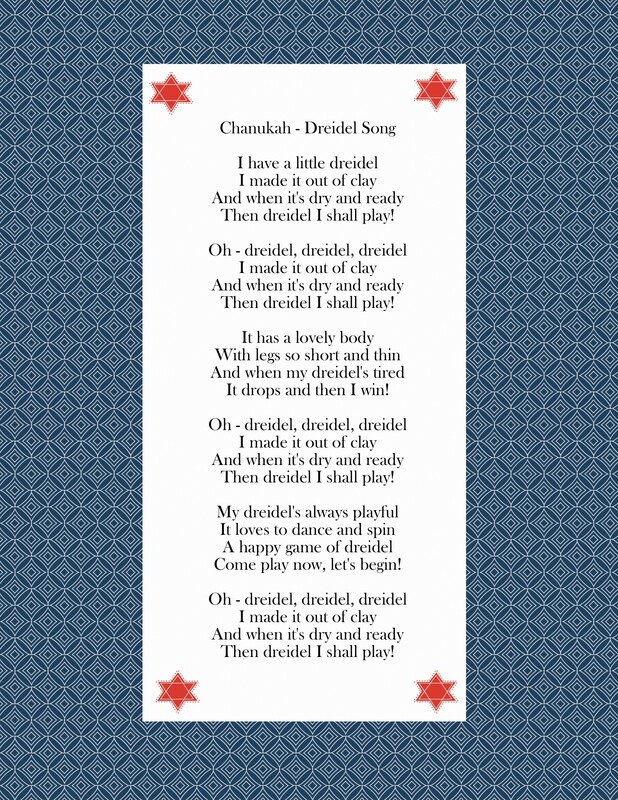 I couldn’t find any great renditions of the Dreidel Song but if you Google it you can find a few sites with lyrics and the melody in case you never learned it in school. Now that I’ve been making a number of these little darlings I can’t help singing it nonstop. 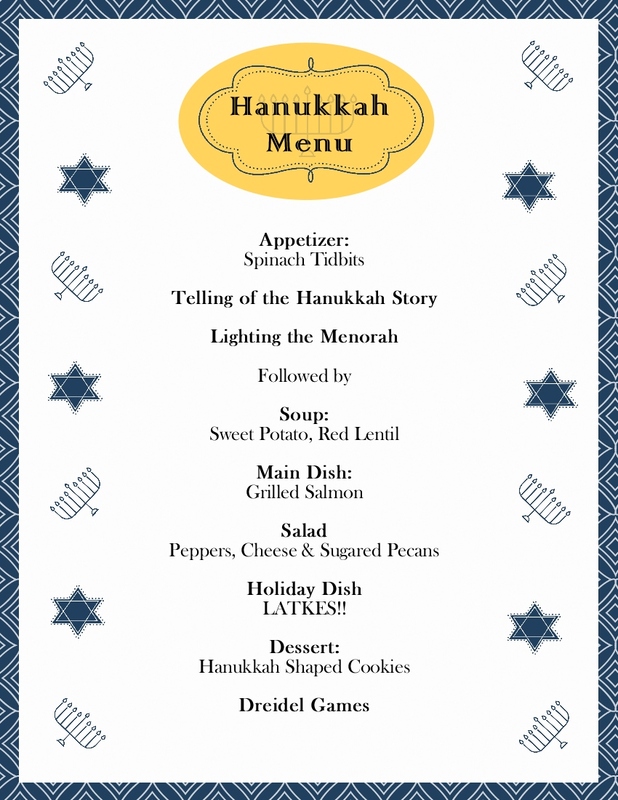 Make sure to come back again and visit on Sunday for Day 3 of our Hanukkah Blog Hop! 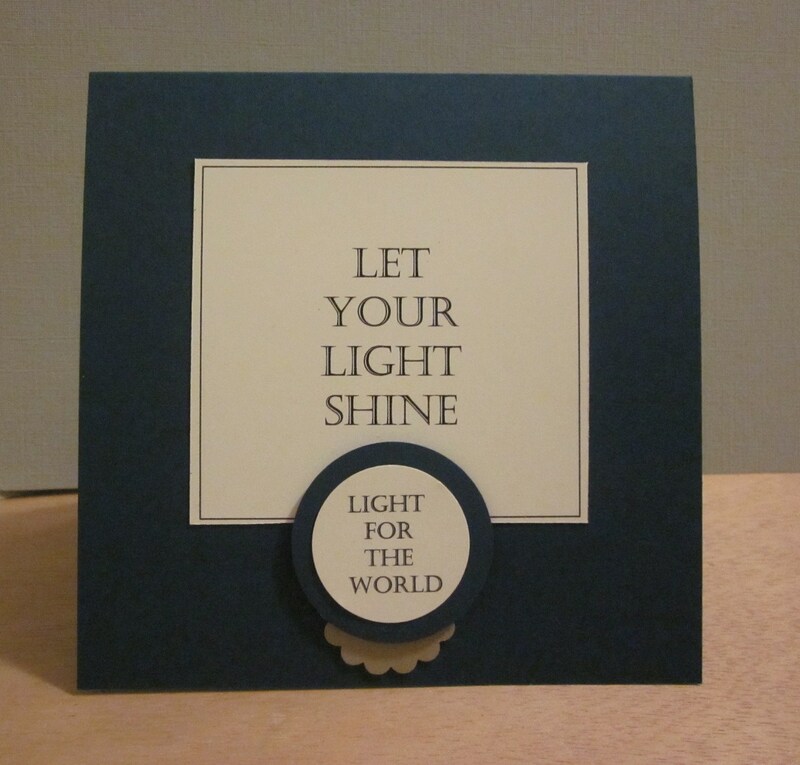 Stampin’ Up recently offered a free digital download of the “Day in the Life” Kit in celebration of receiving so many “likes” on their FaceBook page. Though the free downloads ended on the 10th they generously expanded it to January 12 at 10am Utah time otherwise known as Mountain Time (MT). Our thanks go out to the thousands of you who have joined us in celebrating our 100,000 Facebook fan milestone by downloading the Day in the Life Digital Kit! If you haven’t had a chance to download your kit yet, no problem. 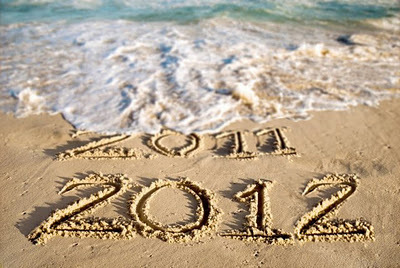 We are extending the download deadline to January 12 at 10:00 AM (MT). Simply visit the link below, fill out a quick survey, and get immediate access to the download! Day in the Life Kit – FREE Download! Note: You don’t have to be a FaceBook member to take advantage of this and you may want to save the file in multiple formats before you leave the download survey page as you only get one bite at the apple. You can save in MDS format and I recommend that you save the file initially then go back and run it so you have a permanent saved copy on your drive in case the file gets corrupted after installing in MDS. You can then also save it in the other format for non MDS use. This saves the file as a zip file which you then can unzip into its individual components for use with any graphics capable software. If you’d like to see what content is included or would like the index sheet for your own use here’s a PDF showing the materials included in the download. Enjoy. This is a wonderful set of images and page template that I know I’ll be making use of for years to come. 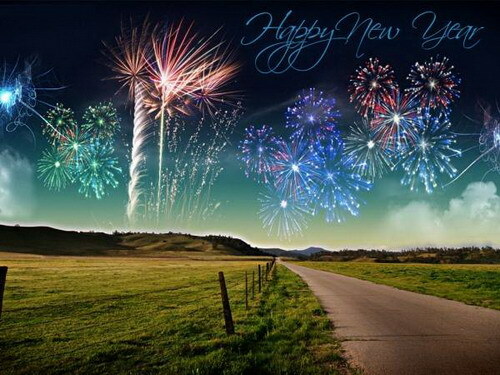 Before the first day of the new year slips away…..
Before the first day of the new year slips away let me wish you…. One of the many things in my In Box today was a post from my favorite online rabbi. 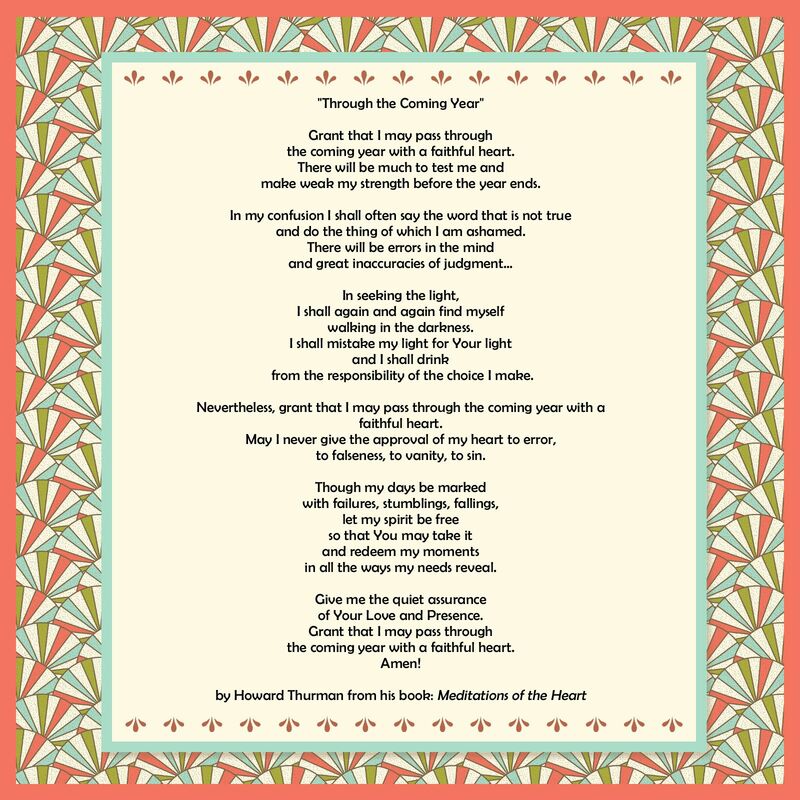 She reintroduced me to a man whose work I had read and enjoyed in college and I thought I’d share his prayer in a basic MDS page. My plan for the new year is to print this and post it where I can see and pray it often and add it to the front of a new album for the year ahead. Oops…forgot to mention that this page makes use of the new Sale-a-Bration CD-Rom that will be available January 24th as a freebie when you buy $50 worth of Stampin’ Up product. That disk is amazing! It contains all the unique SAB images and papers, ribbons and brads in digital form. Even includes the Decor Element piece as a brush image! What a wonderful way to be able to use all the lovely SAB products. Granted the physical paper Everyday Enchantment that I used digitally is even more fun to work with since I can die cut and punch with it. In an upcoming blog hop later this week you’ll see more samples of it. I love the use it makes of our many In Colors. 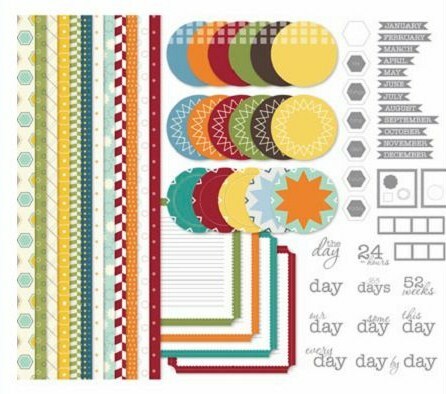 This page also uses the digital version of All Scallops brush image (the stamp set itself is retired) and the coordinating In Colors Pool Party and Calypso Coral.